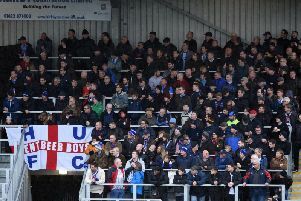 Hartlepool United suffered their fifth straight National League defeat following a 2-1 loss at Dover. After falling two goals behind in the first half, Hartlepool did pull one back through substitute Josh Hawkes six minutes from time - but it was too little too late. So did anyone standout for Matthew Bates’ side at the Crabble Athletic Ground? Our Hartlepool writer Liam Kennedy has dished out his player ratings - click on the link above to flick though our gallery.